Prophet's Gate in Prophet Tree will allow you to summon high star heroes of certain faction. Idle Heroes Strategy Game Guide. Prophet's Gate in Prophet Tree will allow you to summon high star heroes of certain faction. It will be open for you at Level 25. This is favorite and valuable place to get good 5 Stars Hero with high chance. In the beginning, select the factions from which you want the hero. 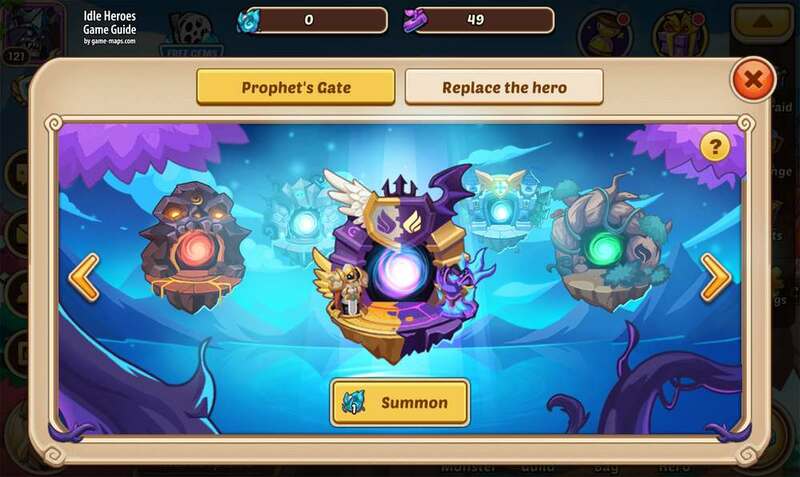 Use the Prophet Orbs at the summon door for 4 Star, 5 Star heroes, 4 Star random hero shards, 5 Star random hero shards. 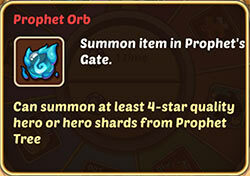 Each Dimensional Summon costs one Prophet Orb. You can get Prophet Gems from Events and a little from tavern quests and Aspen Dungeon. You can also buy them but it is expensive. Each summon will offer you an additional number of Prophet's Blessing, this item can be used for Hero Replacement in Prophet's Gate.